We just share a long post on IndieDB about our last months of development, we think it’s a great way to update you on our last movements, on what happened and what make us proud! You can find in the last part of this post some info on what we are doing at the moment, at what stage of development we are. 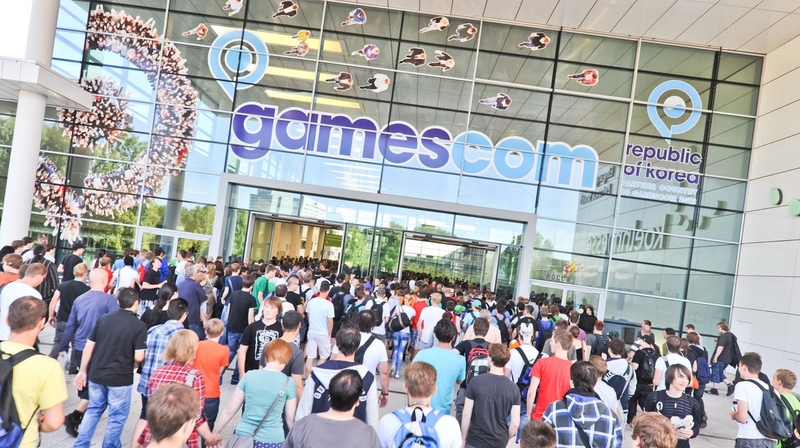 This is the new trailer we made for Gamescom 2015 (i’ll talk about it later). This video talks about Renèe, our main character. For other new videos, visit our Youtube Channel. In the last months we travel the world, 2 events outside Europe and 2 inside. It was so awesome to be able to meet you there and talk about The Town of Light, thank for you support! 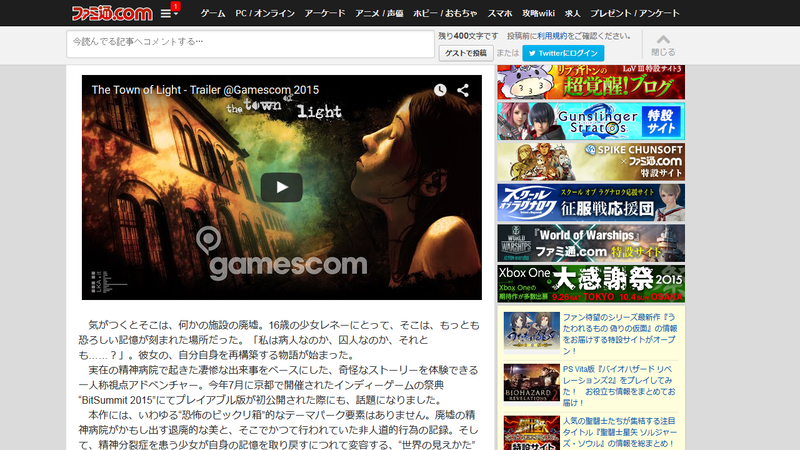 Many worldwide gaming website talked about The Town of Light and it was amazing. We’ve been chosen as indie game of the week by Famitsu, one of the biggest magazine in Japan. Amazing magazine. Ok. It’s time. Just Do It! We are about to begin the last months of development. 3 months, just to be clear. It’s a lot of work still to do and we have no time left! Optimizing: We need this in every moment of our development. We have to find bad written code and fix it. Replace models with higher polycount than normal and rearrange them. 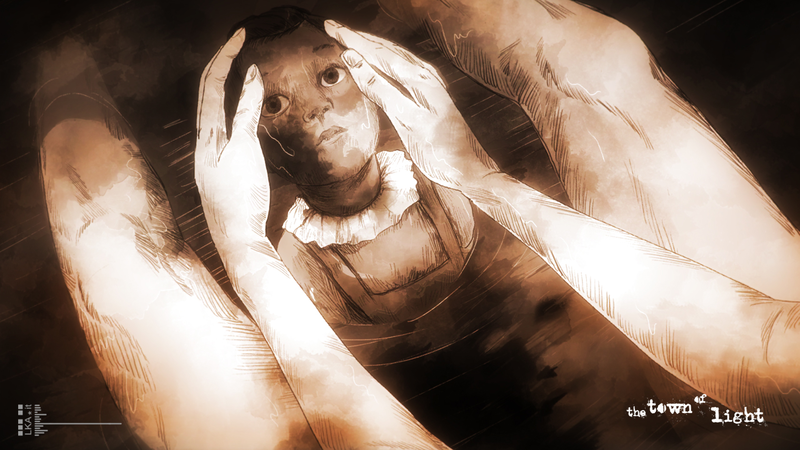 We want that everyone will be able to play The Town Of Light without hiccups or slowing down. Holy FPS! Public Relation: Development is of course our main focus, but we know that while the game needs to speak for himself, PR are vital to make sure to let everyone one knows about The Town of Light and our vision. So, we are also planning a lot of updates on the website, show the game at shows around the world, events, youtube video, streaming and everything else needed to tell you all the details about the game and is release. Consider that we are a very small team working full-time on the project (5-6 at the moment) and you will understand why we have no time left. Here’s a screen of a 2D cutscene showing Charlotte. And here’s a snippet of code, just for fun ( in italian of course!). I really hope that this updating post didn’t bore you to death (And sorry for mistakes here and there, if you want to correct me in a private message(PLS) feel free to do it). Ask us anything, spread the word and show us your support! Or just leave a comment, to let us know you are still here rockin’! 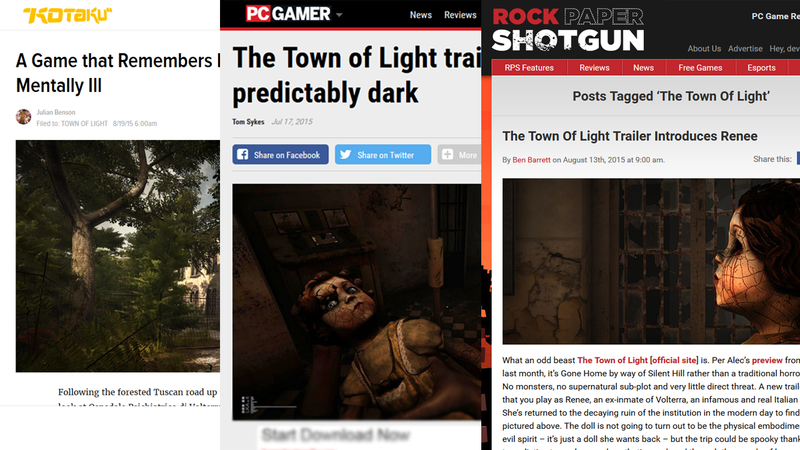 Follow us on Facebook, Twitter and our thetownoflight.com. P.s. If you read up to this point, please spend another second visiting our MadeWithUnity page, leave a like if you want and spread it. THANKS.